North Eastern Railway came into existence on 14thApril 1952, when two complete Railway Systems viz. Oudh Tirhoot Railway & Assam Railway and Fatehgarh District of BB & CI Railway were merged into one system and was inaugurated by the first Prime Minister of India Pt. Jawahar Lal Nehru.It stretched from Achnera near Agra in the West to Ledo near the border of West Bengal in the East. On 15thJanuary 1958, it was divided into two Zones (i) the North East Frontier Railway and (ii) the North Eastern Railway with headquarter at Gorakhpur, comprising of five Divisions viz. Izatnagar, Lucknow, Varanasi, Samastipur and Sonepur. On 1st October, 2002, Sonepur and Samastipur Divisions of North Eastern Railway were merged with the newly created zone East Central Railway having its headquarter at Hajipur. Presently, North Eastern Railway has three Divisions at Varanasi, Lucknow and Izatnagar. 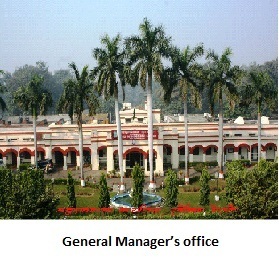 It has Headquarter at Gorakhpur. This Railway, being a passenger oriented system, provides reliable transportation facility to the people of Uttar Pradesh, Uttaranchal and Western Bihar and also gives and impetus to the socio-economic and cultural development of the region. This Railway also caters to the transportation needs of neighbouring country Nepal. The North Eastern Railway system passes through the states of Uttar Pradesh, Bihar and Uttarakhand and runs from West to East. 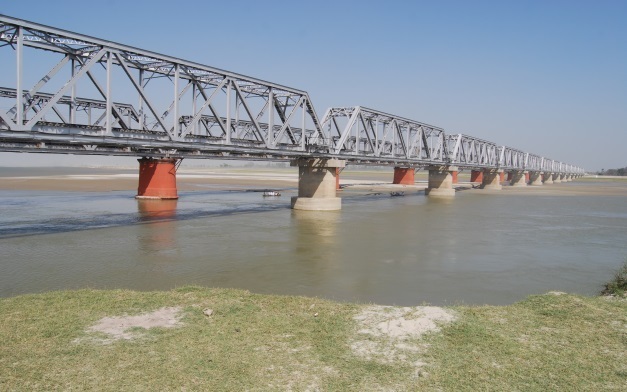 Most of the system is situated north of river Ganga and traverses through basin of river Ganga and touches Nepal border at number of places such as Nepalganj Road, Barhni, Nautanwa. A number of rivers originating in Nepal such as Sharda, Ghaghra, Rapti, Gandak and its various tributaries pass through areas served by this Railway. Major rivers like Ganga, Gomti, Saryu, etc. cut across the railway system at a number of places. As these rivers are prone to flash floods, many sections of the N.E Railway are vulnerable and are prone to breaches in the rainy season. This Railway is famous for the bridges across the various rivers, each of which is an Engineering masterpiece. North Eastern Railway is primarily a passenger oriented system which serves western Bihar, Uttar Pradesh and Uttarakhand. 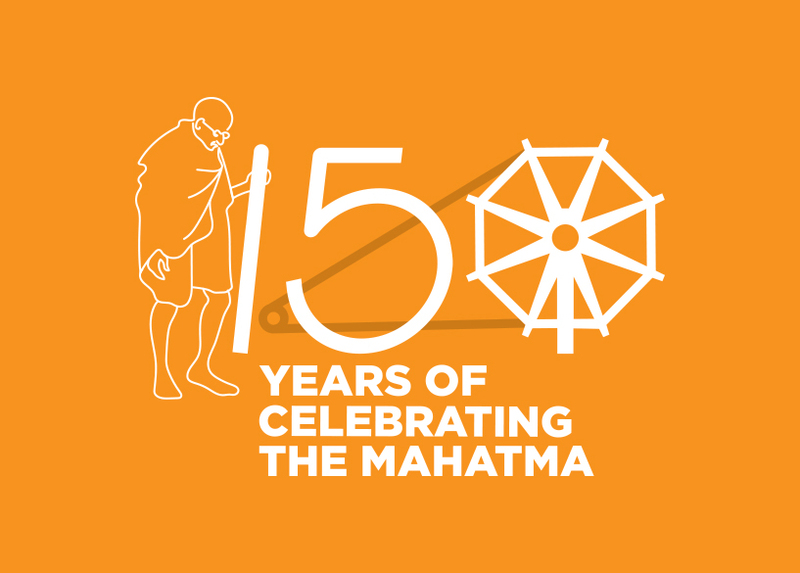 It passes through major tourist and cultural centres like Varanasi, Sarnath, Lucknow, Allahabad, Kushinagar, Gorakhpur, Lumbini, Ayodhya, Maghar, Mathura etc. 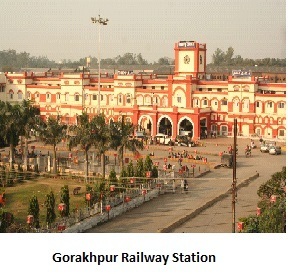 There are 498 Stations, two Mechanical Workshops (one each at Gorakhpur and Izatnagar), two Diesel Sheds (one each at Gonda and Izatnagar), one Engineering Workshop at Gorakhpur and one Signal Workshop at Gorakhpur, on this Railway.